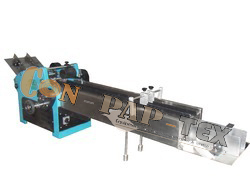 Label Pouch Carton Dispensing Machine manufacturer in batch coding equipments. Automatic label also for horizontal pouch printing machine, vertical pouch printing machine. VIBRATIONLESS MOTION WHICH GIVES THE BEST CODING THROUGH OUT THE LENGTH. EXTRA FEEDER PLATE FOR RESTING THE BUNCH OF PRODUCT AND SLOPER OUTPUT PLATE FOR PRODUCT EASY OUTWARD.